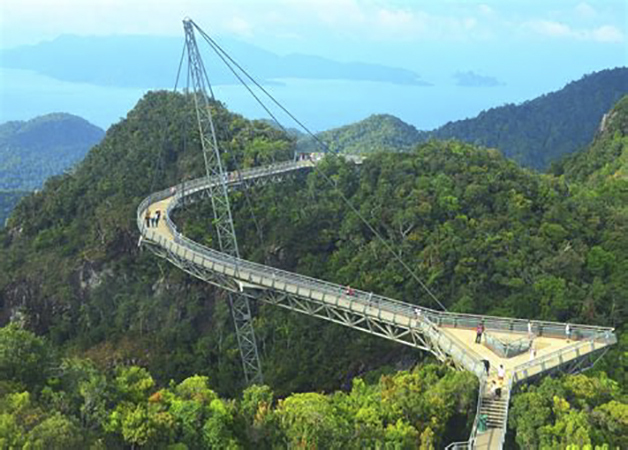 Ride the steepest cable car ride on earth, which will take you 708m above sea level to Langkawi's second highest peak of Mt. Machinchang. Rest of the day free to explore your own. This morning we will proceed for an orientation of Langkawi Island. * Visit Underwater World - Asia’s largest aquarium featuring “live” - more than 5,000 marine and freshwater specimens. * Drive pass Pantai Cenang, the most popular beach on the island. * Visit a traditional Gamat outlet, a local herbal house, popular with locals and visitors alike, where a variety of exotic natural products with “special healing powers” are processed. * Visit Eagle Square, the most prominent landmark and its magnificent symbol of Langkawi. Late afternoon leave for Tanjung Rhu beach to witness sunset at arguably one of best beach on the Island. Transfer to the airport this morning for your flight to Kuala Lumpur. Upon arrival in Kuala Lumpur, transfer to your hotel. Transfer to the airport as per your flight timing for onward destination.